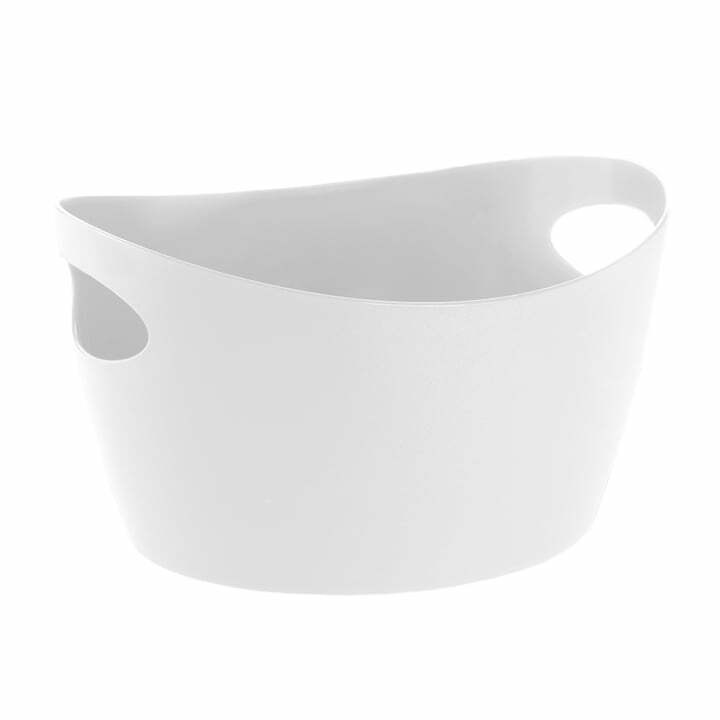 Bottichelli from Koziol is the perfect organizer for bathroom and kitchen, children's room and bedroom, garden and balcony. Whether socks, clothe-spins, toy blocks or doll's clothes – here everything finds a shapely place. With the Zuber from Koziol, organizing is fun and it is much too beautiful to disappear in the drawer just like that, because Bottichelli looks extremely stylish. Simply choose a colour that suits your room the best and ensure an eye-catcher in a tidy home. Out of high quality plastic, Bottichelli promises long lasting system. 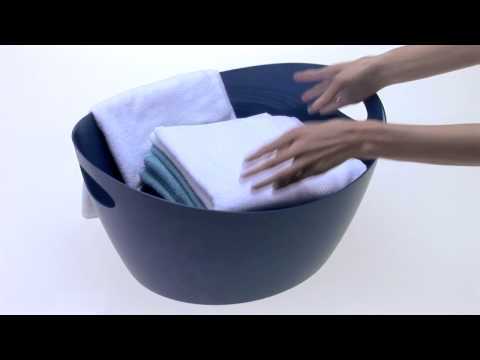 The material is recyclable and thereby ecologically exemplary because environmentally friendly. And as all the Koziol products are, also the Zuber is "100 percent made in Odenwald!" The Bottichelli M from Koziol is available in different colours. A real all-rounder! 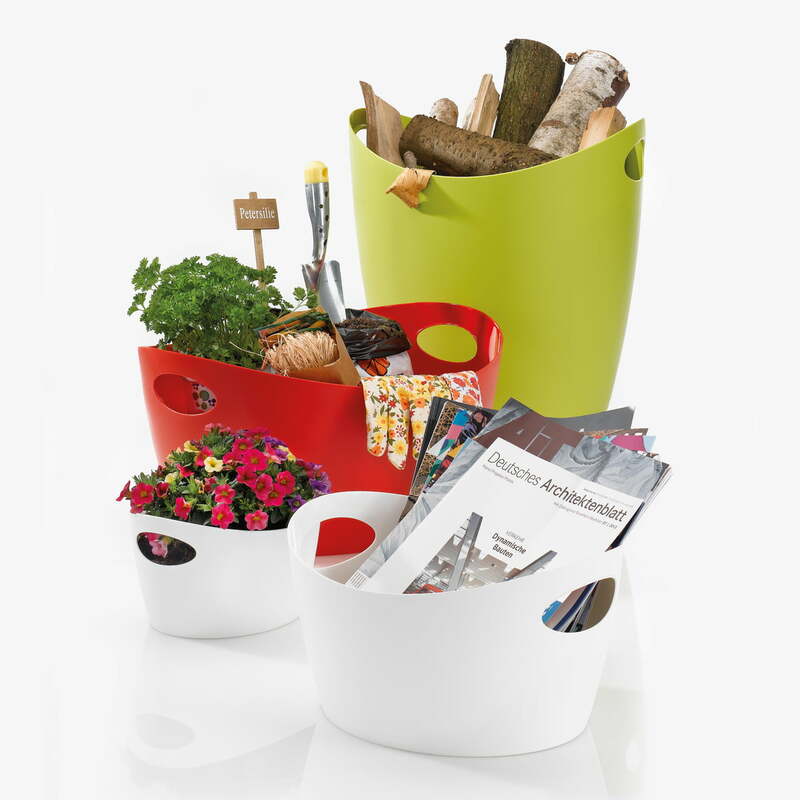 From the little Bottichelli Utensilo to the big Bottichelli XL, the Koziol series comprises variously sized storage containers that can be used as pen holders, magazine racks, wooden carry baskets, washing baskets, toy boxes and so on. The usage possibilities are almost unlimited thanks to the robust plastic material. 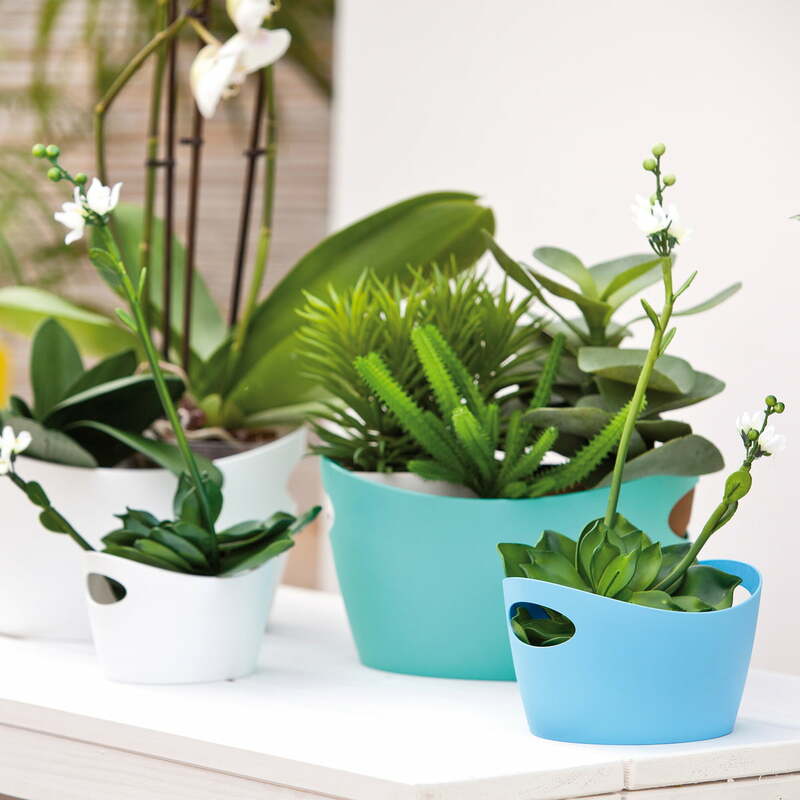 The Koziol Bottichelli containers can be used multifunctionally as flowerpots for indoor or outdoor areas.The containers’ various sizes are suitable for many different plants.